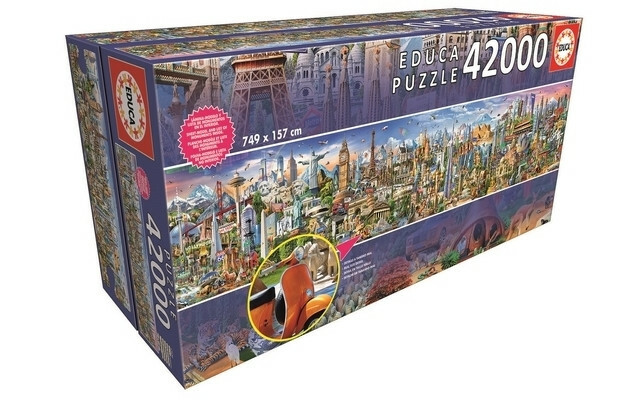 Around the world in 42,000 pieces! Sheet with the picture inside. Booklet with the list of monuments.